Plastic containers available in 2 series of sizes; 175-series and 182-series. Several depths can be closed with one perfect fitted lid. These containers are popular in many take-out restaurants because of their multipurpose use. Both series are made in The Netherlands and are of the best quality available in the market! We offer them in the black, white or transparent colour. 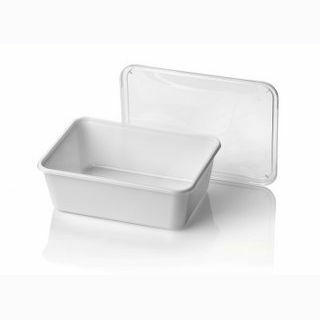 The take away containers can be used in the freezer, oven or microwave up to 125 degrees Celsius.